Seeing as I know Cult Labs people are the kind of folks who like to get behind the scenes of things, I thought I'd post a few books that I think are worth a look at. A word of warning though, if you're someone who hasn't seen the show for years, all of these have spoilers, and the last thing you want with The Twilight Zone is spoilers. I'd recommend picking up the upcoming BD/DVD editions and THEN reading these books if you're interested. Not so much behind the scenes, but more of a look at the meaning behind episodes and their subtext. It's decent to watch an episode and then read this for a little food for thought. A very handsome book this one. a shame it's not hardcover. 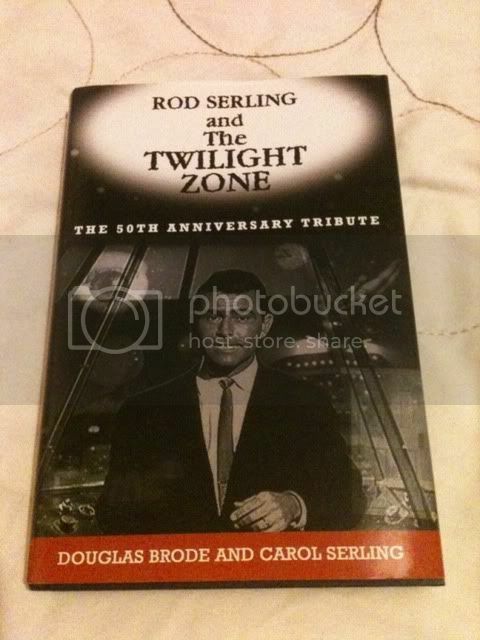 Full of interviews with people who were in The Twilight Zone or involved, plus essays and some rare photos. Has a nice perspective that other books don't have. 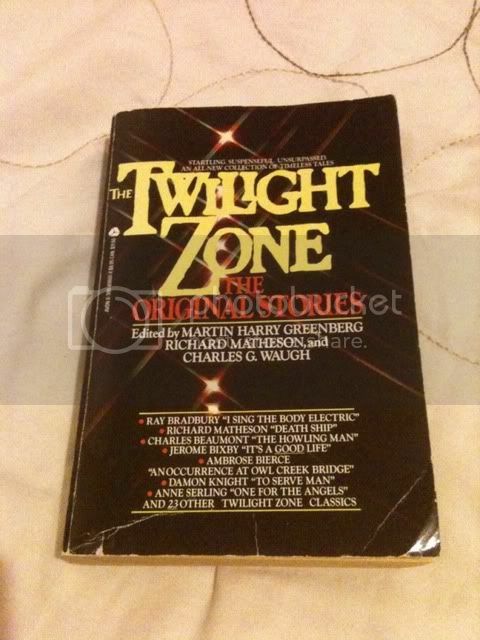 Probably the most famous book out there, a good solid reference to all things Twilight Zone. 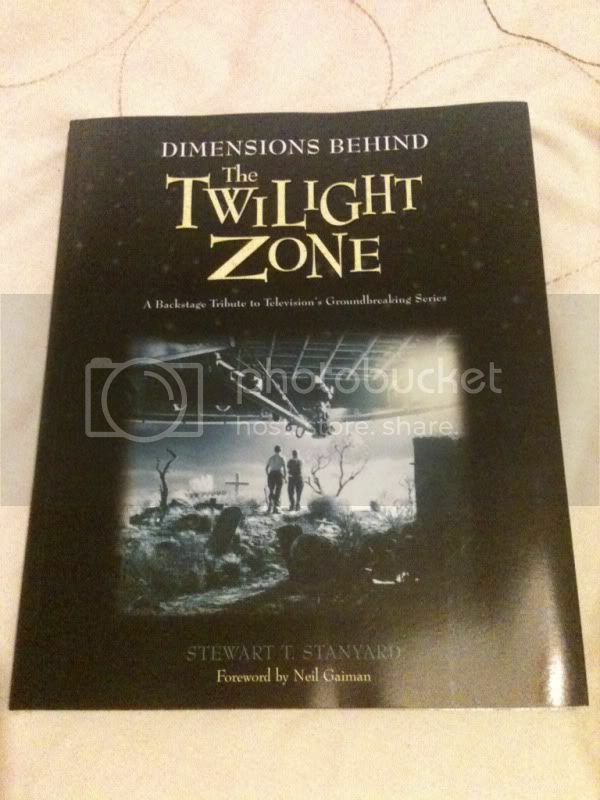 If you only buy one book about The Twilight Zone, this is the one to get. More facts than you'll ever want, and loads of quotes from everyone involved. Not so much in the way of criticism, but that's not really what it's about. A book of adapted stories. Probably not essential, but interesting, as some of the stories go their own way from the original televised versions. This one is pretty old now. I got it on Amazon Marketplace for about ten pence! Great book though; it's some of the short stories that episodes were based on, by masters like Ray Bradbury and Richard Matheson. 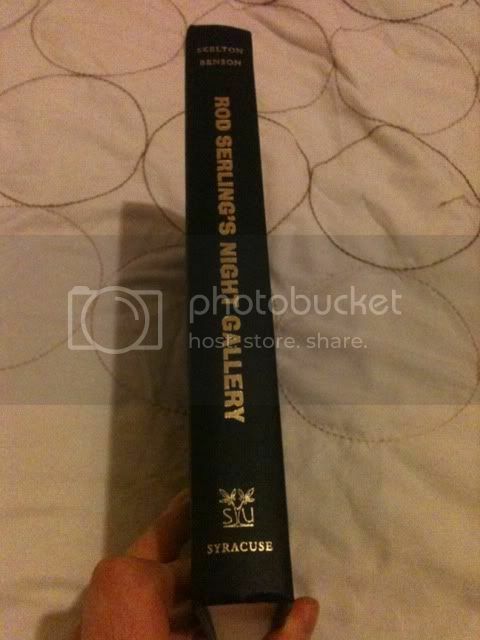 Probably the only work on Night Gallery that I know of. An excellent book. Goes behind the scenes a lot with the turmoil that was going on. Also reviews and behind the scenes stuff about every episode. You can get it reasonably in soft cover - be prepared to pay for hard cover. Anyone else know of any good books, post away! Last edited by TwilightZoneTom@Cult Labs; 18th April 2011 at 08:13 PM. Some good stuff there. I have the 50th anniversary book but I found it difficult to digest without watching the episode before hand. It made me feel rather thick at times to be honest haha! I heard you talk about the story books on your Judgement Night podcast so I'd be really interested to have a read of those. I didn't see them on amazon - can I buy them anywhere other than the ride at MGM? Oh, and that Night Gallery book sounds great - I'm definatly going to track that one down! I know what you mean to be honest. I know there's often a lot of subtext in Twilight Zone episodes, but this book goes to places I'd never go myself a lot of the time, so I find myself thinking it's digging for digging's sake sometimes. It really is excellent, but like I say, the hardback can be pricey. 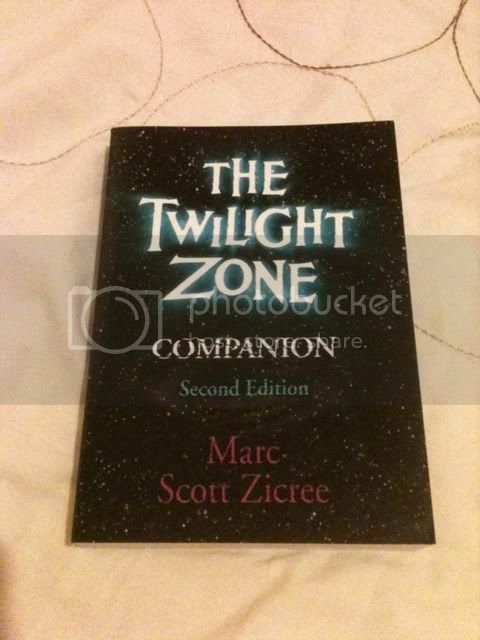 Since posting this my Twilight Zone library has probably tripled in size! 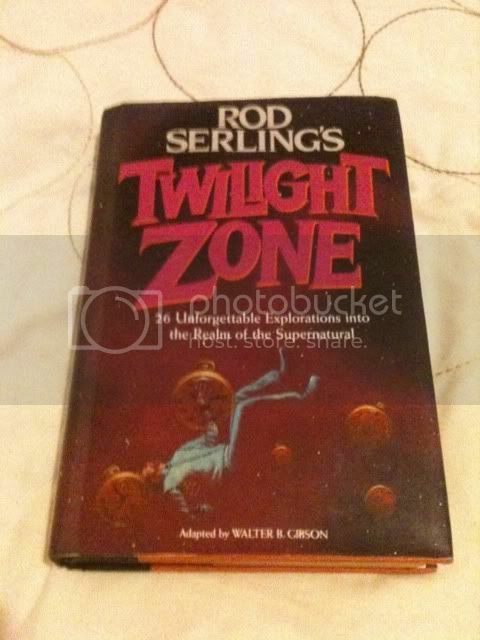 It seems despite being off the air The Twilight Zone has ticked over nicely in book form for years, I keep finding new Twilight Zone books and thankfully a lot of the time you can get them for a couple of quid. I'll post more pics soon, but I just got a lovely one published in 1960 which is probably the first Twilight Zone book ever published. 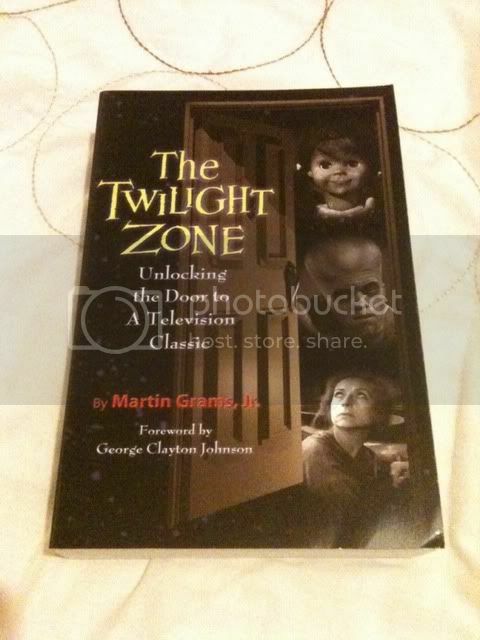 It's a book of adaptations of episodes written by Rod Serling. It's rather nice to read the sleeve notes speaking about him in present tense. Sounds great! I have seen quite a few TZ books on Amazon and have always debated about whether I should pick some up. But without Amazon reviews it's hard to seperate the good from the utterly pants.